Financing a growing business presents unique legal issues. Staub Anderson attorneys have the experience and knowledge to guide clients through those issues. Raising capital often means selling equity, such as stock in a corporation or membership interests in an LLC. Choices may include an offering to investors through a private placement memorandum, a negotiated sale to a single "angel" investor, a sale to a venture capital firm, or the issuance of options or warrants as part of a mezzanine financing. Each choice presents different legaland business issues. The experienced lawyers of Staub Anderson can help resolve those issues and implement the best solutions for your business. Debt financing is also an important piece of the puzzle for most growing businesses. 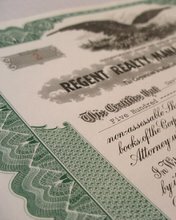 Whether we are assisting a borrower in negotiating the terms of conventional financing, structuring a complicated mezzanine debt transaction for a client, preparing a private offering of debt securities, or working with an issuer of bonds to finance a client's construction project, our attorneys have the experience required to bring the deal to a successful conclusion. When a debt or equity financing takes the form of a private offering, complying with state and federal securities laws is essential for protecting the client. We help our clients through the maze of those requirements. For more information on corporate finance and securities services of Staub Anderson, please call David Staub at (312) 345-0545.